I was excited but skeptical when I heard that a new Anne of Green Gables series was in the works. I had read all the books as a child and, like many Canadians, watched Kevin Sullivan’s 1985 television mini series with a heart full of love. I was thrilled when they filmed part of the second series (Anne of Avonlea) in the Allan Gardens near my apartment in Toronto when I was at U of T. I walked right past the filming one wintry night and saw Anne & Morgan Harris (Megan Follows & Frank Converse). My emotional attachment to Kevin Sullivan’s production is strong, and my concern over Anne With an E, understandable. And so, I began watching this weekend. My heart leapt with joy when I heard the The Tragically Hip’s “Ahead by a Century”. “This might be okay”, I thought. And it was more than OK! Yes, they have added background stories and added some pieces, but, as a lifelong fan of Anne, I don’t find these non-canonical additions uncomfortable. 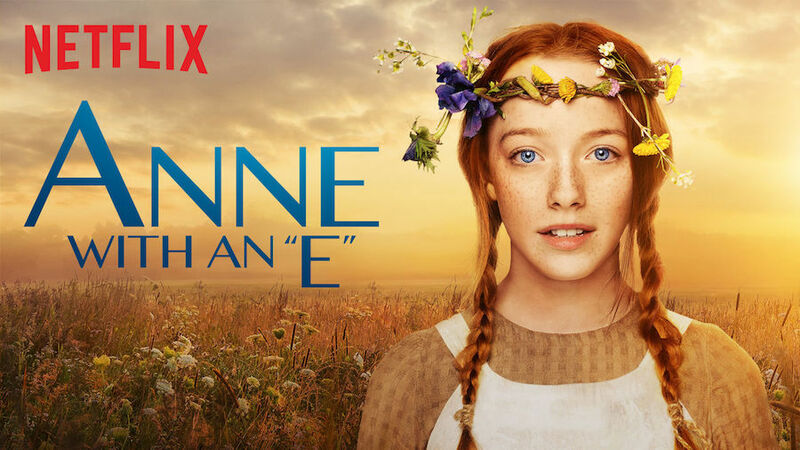 The actors portraying Anne, Marilla and Matthew (Amybeth McNulty, Geraldine James, and R. H. Thomson) are fantastic and capture the essence of each character. I think my heart will always hold Jonathan Crombie as the perfect Gilbert. Lucas Jade Zumann is just a little too broody, but he has moments when I see the Gilbert I love. I think, as the series progresses, I might soften towards this new Gilbert. So, to sum up, I will continue watching enthusiastically. If you haven’t watched it, or have been hesitating like I have, fear not. You won’t be disappointed.